« Let’s take a moment to talk about : forks! I need to clarify one point. My brand new outdoor compost tumbler does not include worms. They need an environment between 55°-80° and wouldn’t survive the winter in New York. Outdoors, the right combination of greens, browns, air and water + time will result in compost. 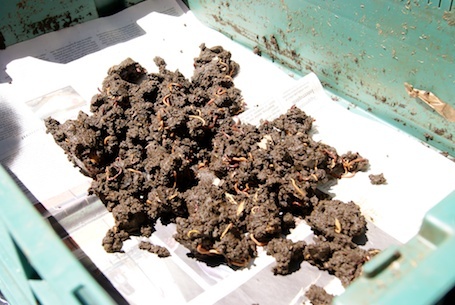 Adding worms just makes the whole process go a lot faster and makes vermiculture (fancy, for worm compost), ideal for the indoors because the food waste is broken down so quickly that (when it is working correctly) it has no smell. I can attest to that because for years, our bin was in our kitchen (literally 2 feet away from our dining table) and no one could ever tell. We once had a dinner party where the topic came up and when I showed our guests the hidden compost, one visibly blanched. I’m still trying to convince him that worms are awesome, but I guess they just aren’t right for everyone. Slowly we got the hang of it and – being just two people at the time – the compost did a pretty good job of handling our food scraps. A few years later, though, we found ourselves moving into a smaller apartment with no logical space for a worm bin to go. We kept meaning to get one but got wrapped up in a whirlwind of babies and subsequent moves. By the time we came around to it again just a few years later, worms had moved from being the weird kid you don’t want to hang out with to the sort-of cool kid you might be friends with. More people had them and – even better – there were a wider variety of bins on the market. Once we settled in what we hoped to be a long-term apartment, we immediately went searching for something that would fit into the only space we had (which happened to be smack in the center of our living room/dining room / kitchen). Because of this, I wanted to make sure that I had a handle on the fruit fly situation, so I attended another workshop, thus beginning my love affair with the Lower East Side Ecology Center. 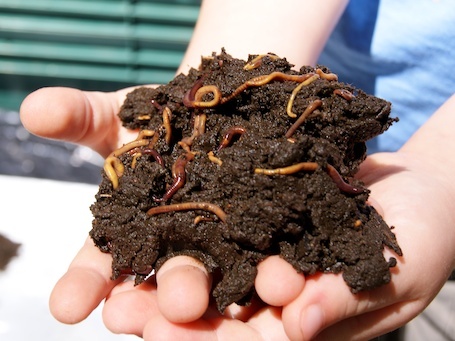 Unlike the first workshop I attended, this one was crammed with people all eager to get their hands on some worms and the crowd included a reporter from the New York Times who ran this story on the growing popularity of vermiculture in NYC. I brought my daughter along and she ended up being the cover model for the article which she will either grow to love or hate a few years from now. The workshop walked everyone through setting up a bin and was helpful in enlightening me to a few ways to improve my system: for one, I hadn’t been using enough shredded newspaper bedding which is what was keeping the bin too moist. Most importantly, I learned that if you freeze (or microwave) your food scraps before adding them to the bin, you will kill the fruit fly larvae! It works like a charm. Not one fruit fly darkened our bin since. Make or buy a bin: You can buy a bin on Amazon, or visit sites that specialize in worm bins and there are a variety of options. 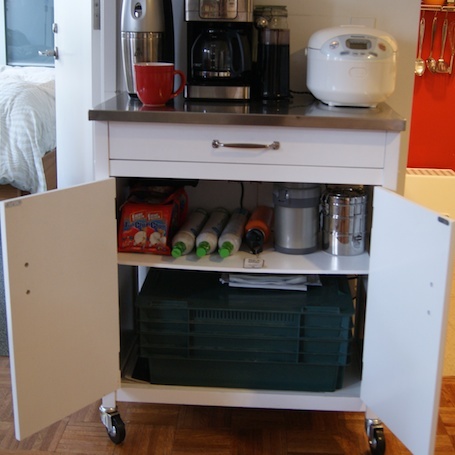 If you have a lot of space or a basement, you can actually build a large enough system to feed a family. There are also lots of how-to sites and videos on the web that will show you how easy it is to construct your own bin. We went with the Tumbleweed worm bin mostly because it fit into the small space we had, but we grew to love it because it is a nested-box system and allows you to drain the liquid that forms (called compost tea). Get your worms. It seems you can get red wigglers anywhere these days, even on Amazon or Worms.com. Depending on where you live, shipping worms in the winter time can be a challenge, so if you have an environmental organization in your area, contact them to see if they might be able to sell to you directly. In NYC, you can buy worms at the Greenmarket. Set up your bin – To get started, find some old newspaper. It needs to be a paper that uses soy-based inks, as my local paper happily does. Most papers do, but if you are concerned, you can call them and ask. 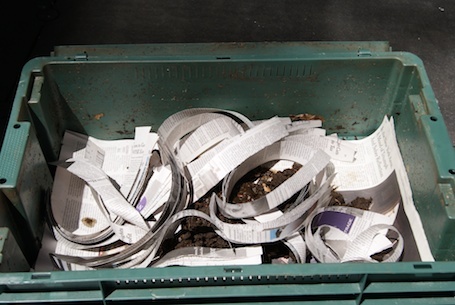 Shred the newspaper into strips about 1″ wide and create a nice fluffy nest in the bin. Add your worms! 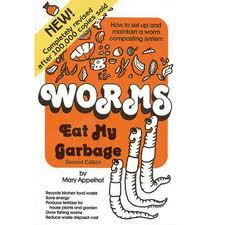 Take your worms and the medium they arrived in and dump the whole lot into the bin. Cover with more paper. Add your food scraps. A bin the size of our Tumbleweed can handle about 3 lbs of food per week. To make sure we didn’t overload the bin (and to prevent fruit flies), each time we would cook we would add the food scraps to a container in the freezer. Once a week, we would dump the contents into the bin. Each time you add, put the new food in a new spot – not right on top of the food from the previous week. Suddenly, you are composting! Feels good, right? This description is just my experience, but for more comprehensive guide to setting up a bin, take a look at this handy reference from (you guessed it!) LESEC. Next week, I will talk about when and how to harvest the compost from your bin. This entry was posted on January 17, 2012, 9:40 am and is filed under Compost, garden, Green. You can follow any responses to this entry through RSS 2.0. You can leave a response, or trackback from your own site. Now THAT is what I call serious-I-shall-not-be-moved composting. I don’t think I could take it to that level since the ants would arrive first. I’m with Karl. You just changed my life with the fruit fly thing. Took me 3 weeks to convince my fiance that a worm bin would be okay. In 1 week (which included satsuma & banana peels) I nearly undid all that convincing! I too thank you for the tip about fruit flies. My DH would thank you too if he knew that I just found out the solution to one of his biggest pet peeves about the worms. Also, thanks for the point about feeding them once a week. I’m not sure why I kept feeding them everyday. With that method mine were very much over fed and the considitions were too wet and food was not being composted enough. I hadn’t thought of such a simple solution. I’m getting a second chance with my worms (killed the lot of them but then their eggs hatched) and hope to do better this go around. Good luck! 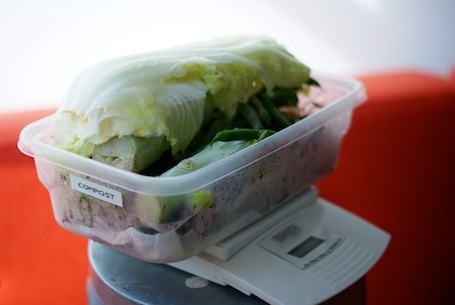 The freezing of the food scraps totally changed our lives!